Strathmore-cards & envelopes: watercolor. Create your own cards with watercolor, acrylic and gouache artwork! perfect for anniversaries, baby showers, Birthdays, bridal showers, announcements and more. 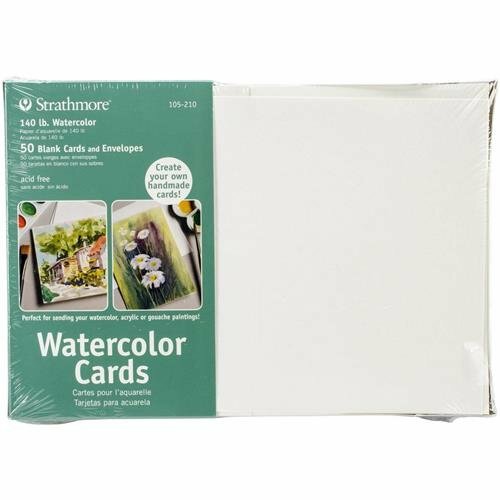 This package contains fifty 5x7 inch watercolor 140lb cards and fifty 5x7 inch envelopes. Acid free. Made in USA. This item is manufactured in United States. If you have any questions about this product by Strathmore, contact us by completing and submitting the form below. If you are looking for a specif part number, please include it with your message.